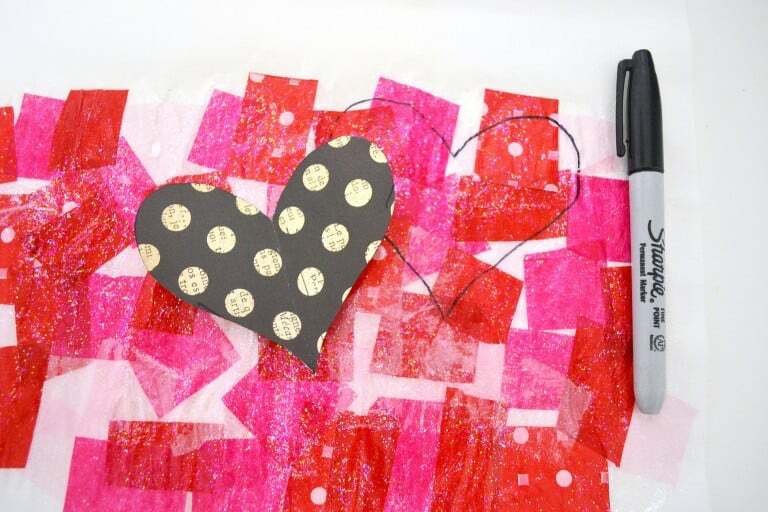 This tissue paper heart vase is a fun Mod Podge project that's easy to involve the kids in. 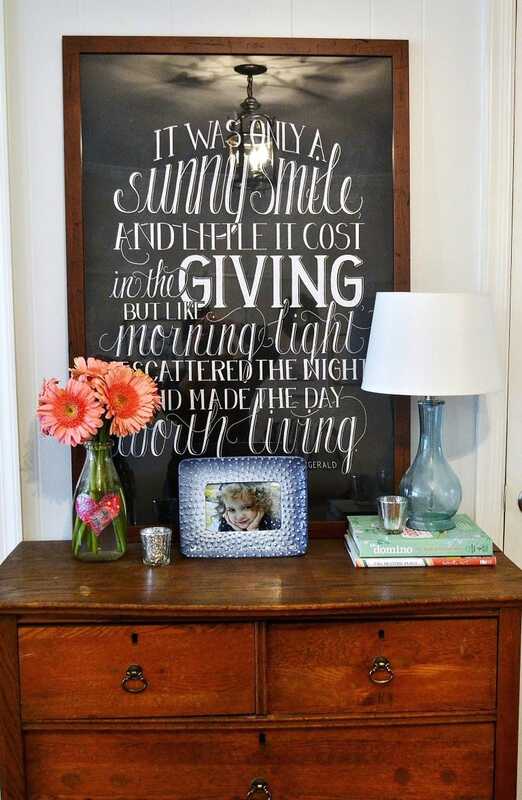 Make one for your own home, and several as gifts! 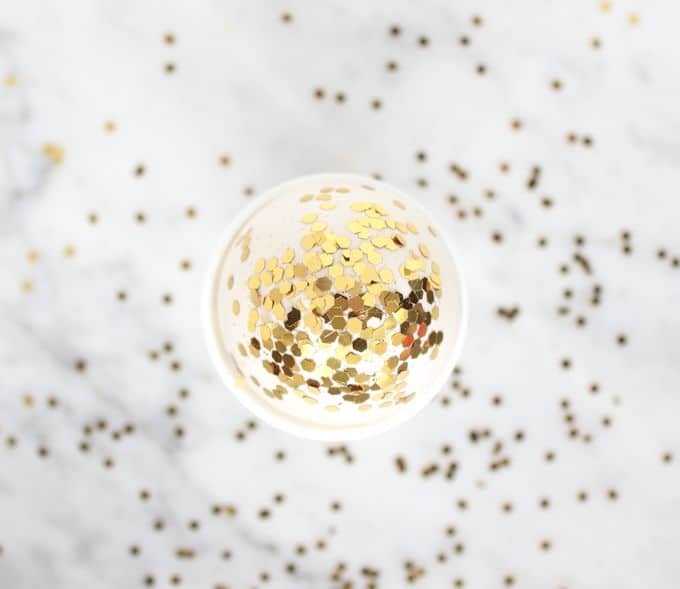 After the holiday decorations come down, I always feel the need to simplify my decor a bit and let my home take a nice long exhale. 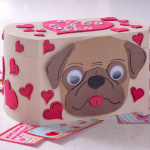 That doesn't mean, though, that I don't decorate for Valentine's Day, instead, it means that my Hearts Day Decor is simpler, low-key, and less fussy. 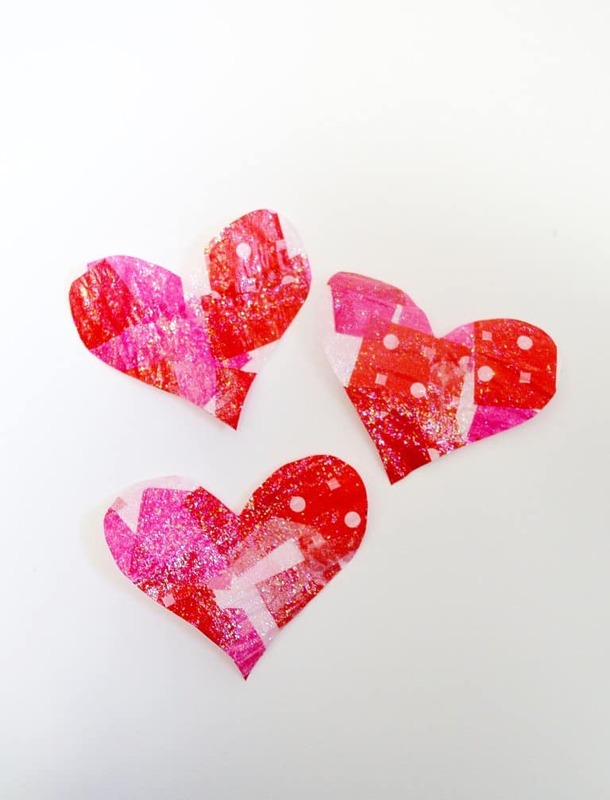 This tissue paper heart vase is a fun Mod Podge project that's easy to involve the kids. 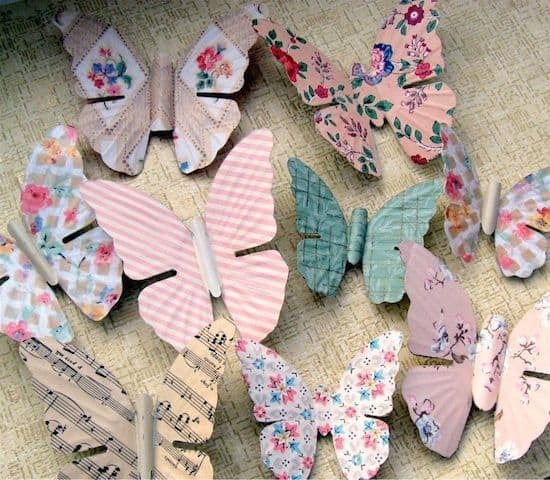 Make one for your own home, and several as gifts! Step 1: Cut your tissue paper into squares. 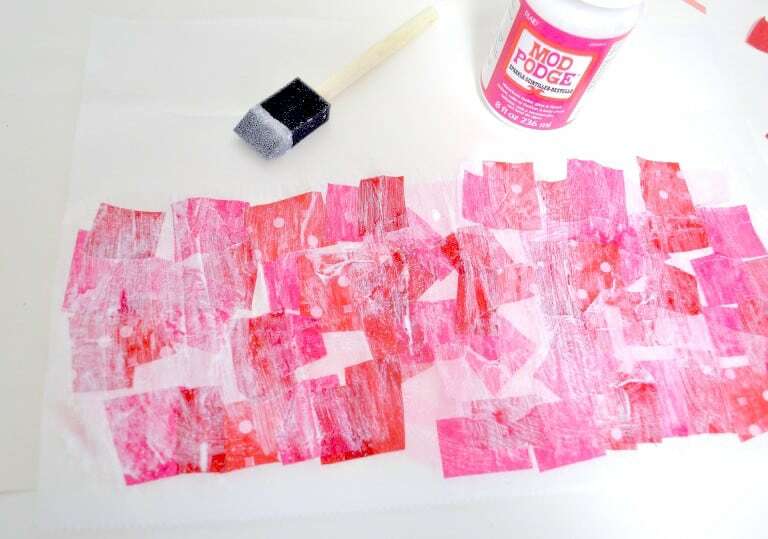 Apply a layer of Mod Podge Sparkle over your parchment paper, and lay down squares of tissue paper, overlapping slightly. 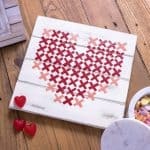 When layering the squares, you'll probably need to add a bit more Mod Podge to make sure the squares adhere well. This is so fun for the kids, too, it's impossible to do it wrong. 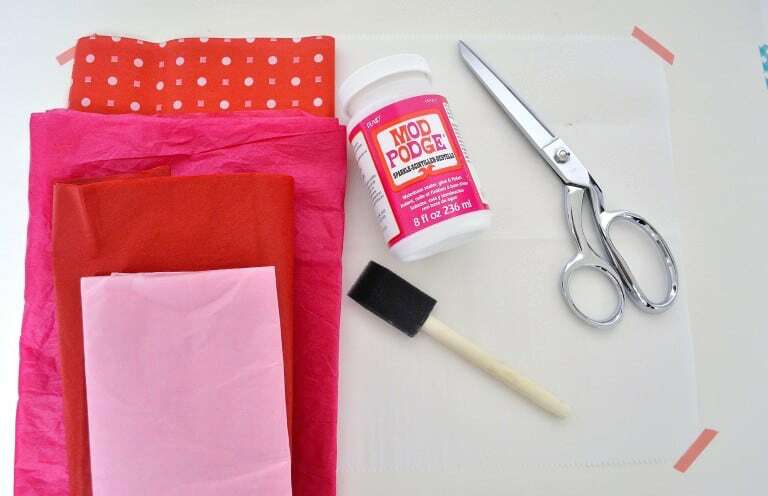 Once dry, apply another thin layer of Mod Podge over the entire project. Let dry. 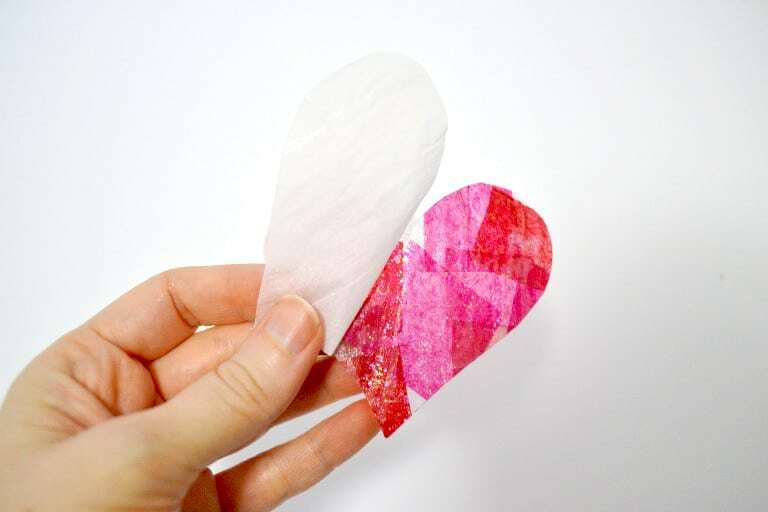 Step 2:Once completely dry, take your heart template (I just cut one out of cardstock), and trace a heart over your tissue paper. Cut out. Step 3: Carefully peel off the parchment paper backings. 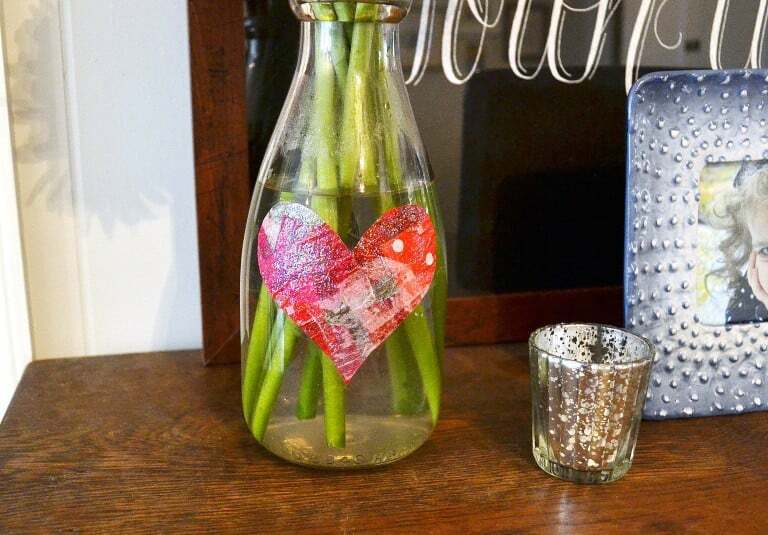 You can decorate with your hearts as-is, and string onto some twine to create a garland, or hang from your windows to create fun suncatchers! 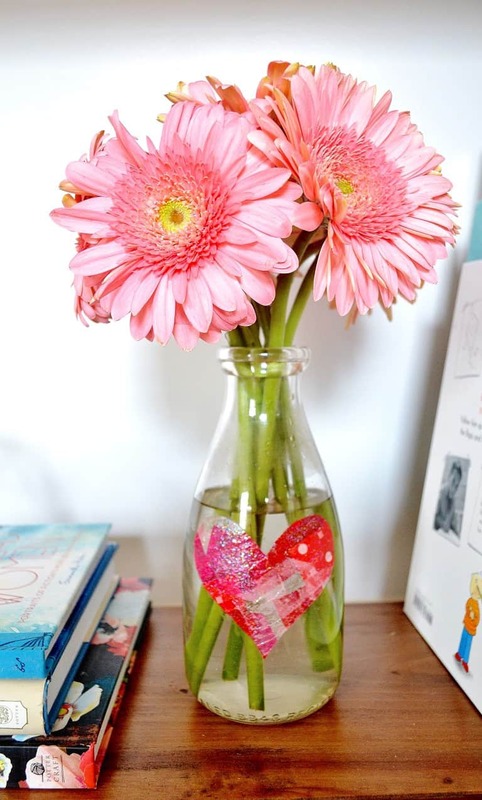 Step 4: I decided to create a fun vase out of my heart. 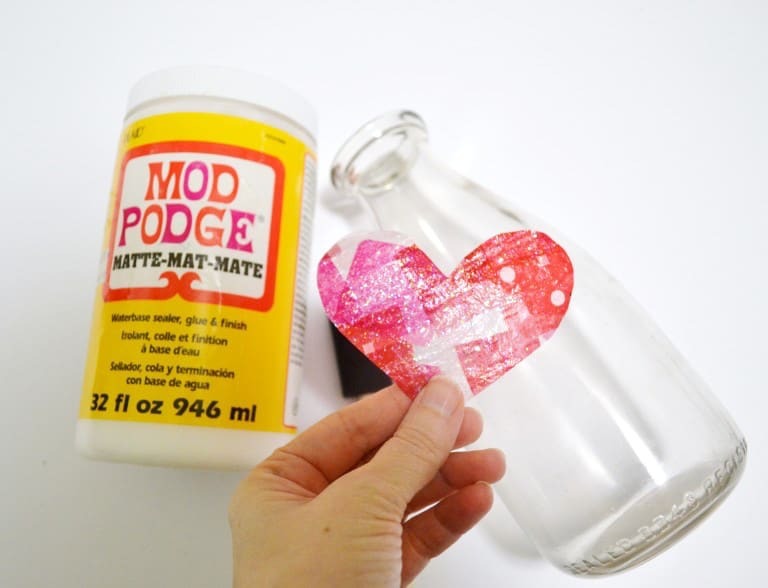 I took a vintage glass bottle, used some Mod Podge Matte, and adhered the heart to the center of the bottle. 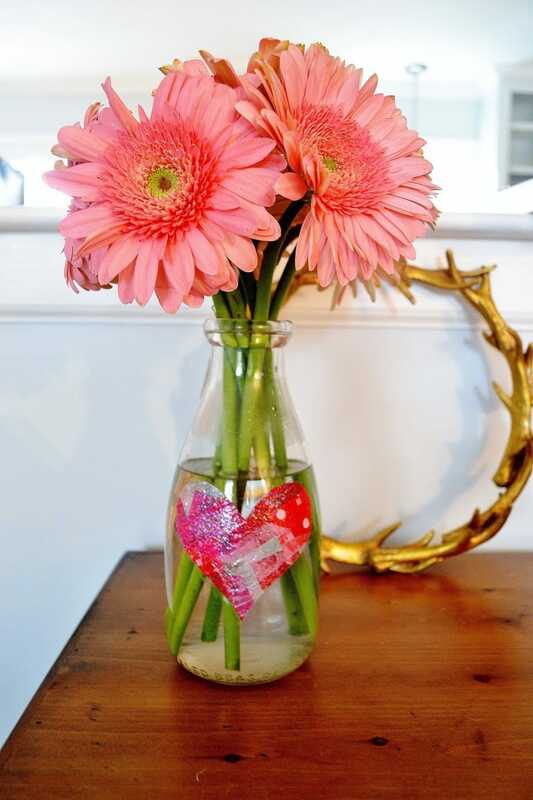 Step 5: Once dry, add some flowers or greenery, and you've got a lovely and simple Valentine's Day heart vase! Thank you so much for letting me share my tissue paper heart vase with you all today! 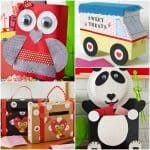 You can find lots of other tutorials and inspiration on my blog, my facebook page, on instagram, pinterest or twitter! Have a lovely day! That is really cute. I love your “it was only a smile” sign. Could you tell me the rest of the saying? I couldn’t read it all and it seems magical. hi, what is parchment paper and where would I buy it please. ? this looks so cool!